Provide comfort for the family of Owen Fortnam with a meaningful gesture of sympathy. Owen R. Fortnam, 12, of Fitch Rd., Hubbardsville, NY, passed away Wednesday, February 20, 2019 at St. Elizabeth’s Medical Center in Utica following a sledding accident. Owen was born February 7, 2007 in New Hartford, NY, a son of Scott P. and Shana L. Pierson Fortnam. Owen was a happy, loving and energetic boy with an amazing sense of humor, loving to make others laugh. He was a sixth-grade student at the Memorial Park Elementary School in Waterville where he was in the Art Club and played the French horn in the marching and concert bands. He was an outstanding student, consistently on the honor role, receiving merit awards and compliments from the wonderful teachers and principal that he so admired. He was a member of the Boy Scout Troop 108. Scouting was an important part of his life, where he received support and encouragement, made many friends and enjoyed all the aspects of being a Boy Scout. 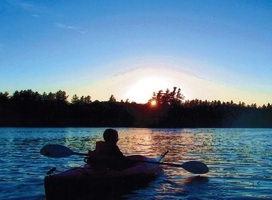 Owen loved camping, fishing and kayaking, especially at Rollins Pond in the Adirondacks with his family and friends. Together with his brother, he enjoyed playing games, legos, drawing, crafts and playing outdoors. He loved his pet fish, horses and dogs, enjoyed dog training sports. Surviving are his parents, Scott and Shana; a brother, Chayce, at home; grandparents, Robert and Diane Fortnam of Oriskany; Sheila Pasiak of Hubbardsville; David Crouch of Madison; and Catherine Pierson of North Brookfield; aunts, Denise Morse of Cold Brook; Amber Pasiak of Brooklyn; and Jordyn Pasiak of Portland, OR. Funeral Services will be held at 11am Monday, February 25, 2019 at the Burgess & Tedesco Funeral Home, Kloster & Northrop Memorial Chapel, 210 E. Main St., Waterville, NY. Friends are invited to call at the funeral home on Sunday from 4-7pm. Owen’s family wishes to thank the doctors and nurses at Slocum Dickson Urgent Care and St. Elizabeth’s Trauma Center for their care and compassion. To send flowers in memory of Owen R. Fortnam, please visit our Heartfelt Sympathies Store. Zoe, Dalynn, Tom and your entire PMIC Family, Chelsea Clarke/Barcade Staff, and others have sent flowers to the family of Owen R. Fortnam. Owen will remain forever young. May his spirit guide the growth of this sapling for a long life. We don't know each other, please accept my condolences. Donna S.
I am so very sorry for your loss. My prayers go out to Fortnam family.